The mellow soft rock singer/songwriter sounds of the early to mid 1970s arguably found its apex with the folk rock band America, who released hit after hit during that time. 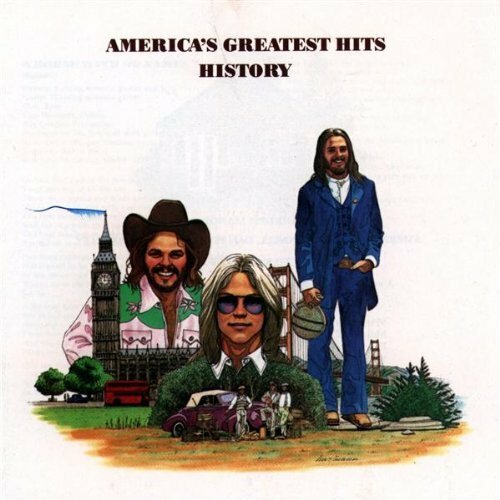 A great collection of all those songs, many which hit top ten or even number one on the charts, are complied on the album America’s Greatest Hits , which is on sale right now in MP3 format for only $5.00 on Amazon. This record might embody the entire “feelgood” vibes of that time, full of many songs that are guilty pleasures and some that are bona fide pop classics: “A Horse With No Name,” the-rolling-down-the-highway “Ventura Highway,” the ballad “I Need You,” the saccharine strains of “Muskrat Love,” the ex-Beatles producer George Martin-helmed bass-heavy “Tin Man,” and the memorable smash “Sister Golden Hair” among others. A great collection for when it’s time to chill, lay back in the hammock, and take a break from musical headbanging and just letting the noggin sway softly and subtly in the breeze. 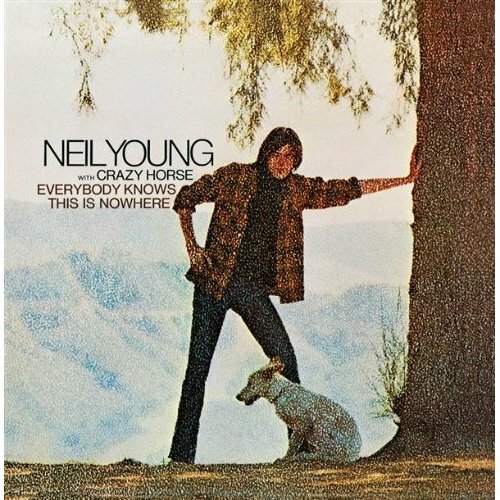 Everybody Knows This Is Nowhere, the record that arguably brought Neil Young and his band Crazy Horse onto the level he is best known for today, grungy countrified Jimi Hendrixian-style riffing mixed with heartfelt arrangements and lyrics and backed with Young’s signature fragile yet ultra assured vocal style, is on sale for only $5.00 in MP3 format right now on Amazon. The record, released in 1969 and sandwiched in between Young’s stint in Buffalo Springfield and right before he joined Crosby, Stills, and Nash, coupled with a solo career which continues to this day, still has all the sonic power and muscle as when it was first released. Opening with the push-pull guitar riff on the now classic track “Cinnamon Girl,” the record instantly charts its sounds, power, and style. 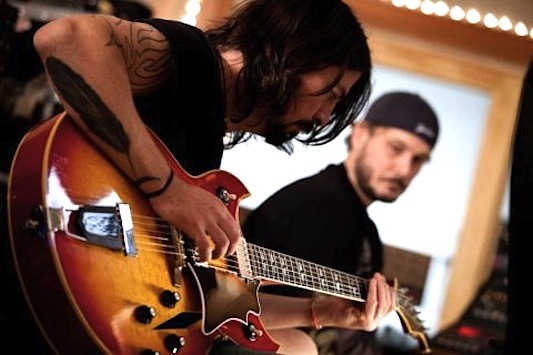 The rest of the album is equally as relentless and memorable, “Down by the River,” “The Losing End,” the title track, and especially the album’s closer, “Cowgirl in the Sand,” are punctuated by a loose, stripped-down guitar attack mixed with a sort of dry gulch arrangement and sparseness which actually adds to the Young sound in many ways. 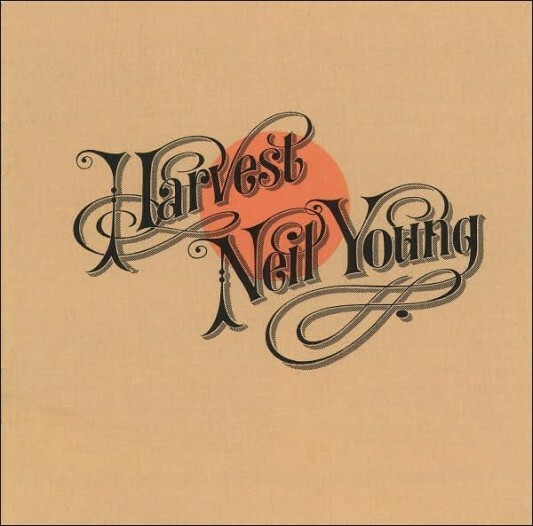 This release remains an absolute stunner of a record, which set the stage for Young’s breakthrough success just a few years later with Harvest. 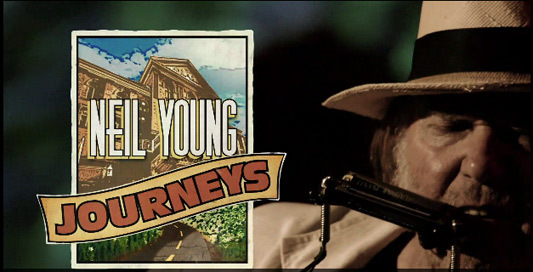 Neil Young is the subject of an upcoming new documentary by acclaimed filmmaker Jonathan Demme, entitled Neil Young Journeys and by the looks of the trailer, this appears like another bullseye for the seminal, legendary rocker and on equal par filmmaker, both who have storied, rollercoaster-style, yet ultimately successful careers. Young remains at 65 years old one of rock and roll’s curious and influential enigmas, with his youthful vitality and earnest approach to his songs, which range from sublime quiet numbers to high octane out and out rockers. He’s been on the music scene since the 1960s, trailblazing his way through a bunch of different bands along the way, like Buffalo Springfield and Crosby, Stills, Nash, and Young, as well as his own Crazy Horse lineup. His influence stretches wide and far to this day as each generation of rock and rollers embrace Young as an at-once elder statesman in the rock community and a still viable artist.